Helping you get to and from the airport on time and in style. Carina Ride offers chauffeur driven airport limousine to airports in Seattle. After a tiring flight, why wait around for a taxi or queue in line? 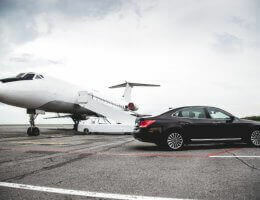 You can have your own chauffeur meet you at the airport and drive you to your next destination in comfort and style! Call us at 206-319-9196 or Book a Ride now.